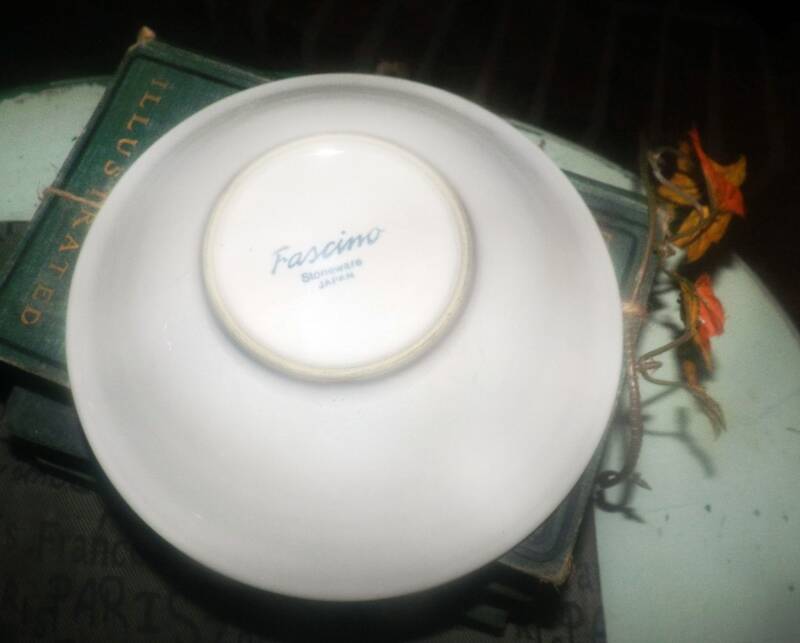 Vintage (1980s) Fascino hand-decorated stoneware cereal, soup, or salad bowl by Yamaka Japan. Blue, green, gray bands. 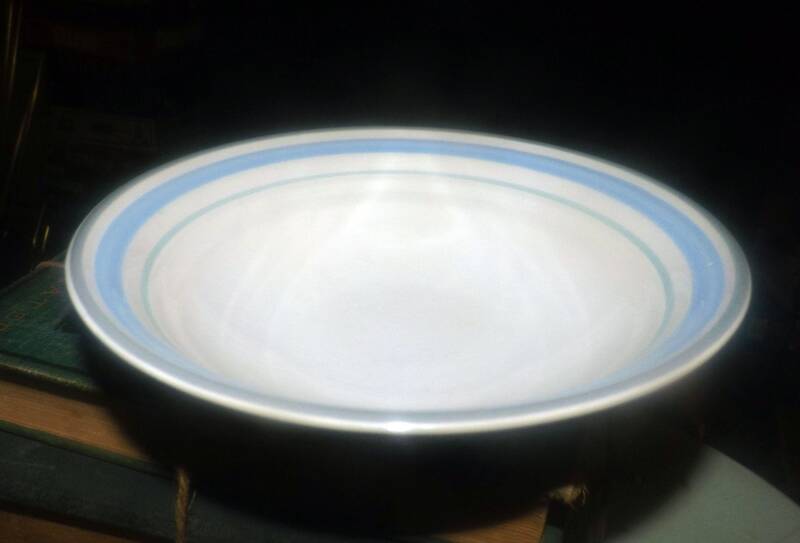 Vintage (1980s) Yamaka Fascino hand-decorated, stoneware cereal, soup, or salad bowl. 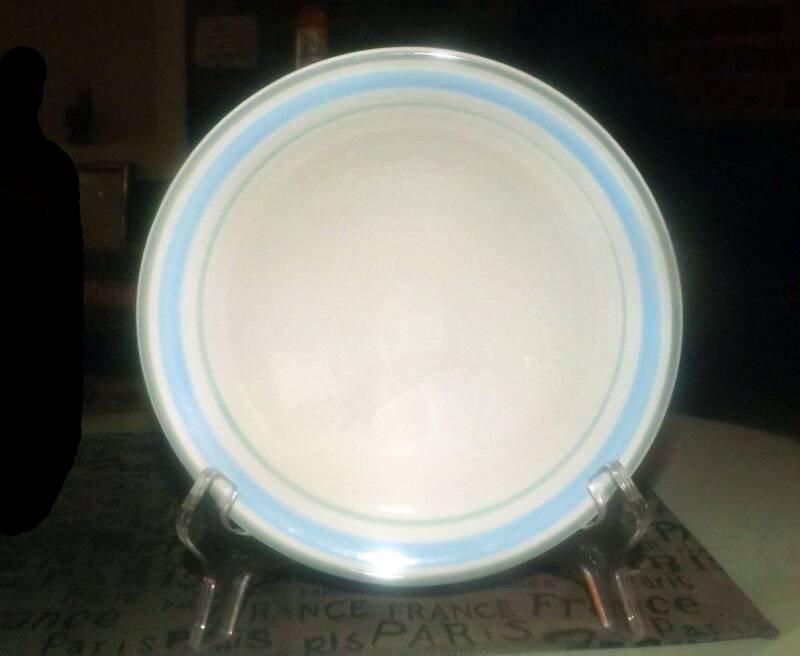 Made in Japan, these stoneware plates feature light-blue, green and gray bands set against a white ground with a smooth, gray edge. In EXCELLENT! vintage condition with NO! chips, nicks, cracks, or fleabites and NO! marks, stains, scratches or other signs of use or wear. There is some LIGHT! 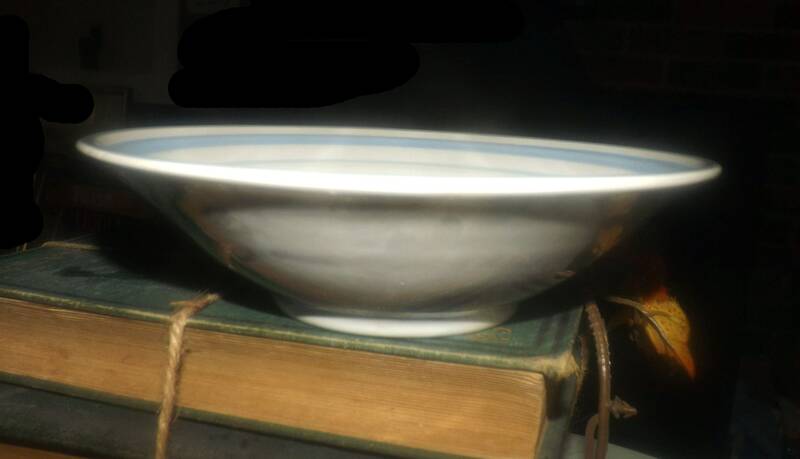 crazing evident to the center of the bowl (please review each of the posted photos for a complete visual of the item). The blue bands are bright and vivid with NO! noted fading. Approximate measurements: 8-1/4" in diameter x 4-3/4" in depth.